One of the ways that many consumers save money on their purchases is through buying on the Internet. Many items can be found for less online, and that can be good for a consumer’s wallet. One of the best ways to save money at checkout is to join a loyalty program. You can earn points on your online purchases with retailers like Best Buy and CVS even you shop online. Just know your loyalty card number, and you can use it at checkout to earn rewards and points, get exclusive offers and coupons, and even receive discounts. 2. Change your payment method. Some merchants offer discounts for paying with digital wallets like Dwolla. Additionally, you can receive cash back and other rewards when you check out using your rewards credit cards. Programs like Upromise can even boost what you save by applying a percentage of your purchase toward a goal (like saving for college) on top of giving you the rewards savings. Don’t forget rewards debit cards, either. PerkStreet Financial offers you the ability to earn cash back rewards when using the debit card â€“ no credit needed. 3. Try promo and coupon codes. There are many websites out there that aggregate coupon codes and promo codes. When you visit sites like Retail Me Not,Â Coupon Claim, Coupon Sherpa, Coupon Mom, and Coupon Cabin, you can access thousands of money-saving codes. If you want to save on shipping costs, you can visit FreeShipping.org for codes to retailers that offer free shipping. You might not even need to make a minimum purchase in order to take advantage of these types of programs. 4. Visit daily deal sites. From Groupon to Living Social to Moolala, it’s possible to have online deals sent directly to your inbox. One of my favorite (but rare) online deals is the offering of $20 on Amazon when you pay $10. You can also see steep discounts of up to 75% on online merchandise ranging from shoes to baby items. It’s even possible to get restaurant gift cards for a large discount off the face value. Sign up for daily deals, and save when you check out. Save money by signing up for rebate programs online. Sites like EbatesÂ and Big Crumbs provide you with the ability to earn cash back and other rewards â€“ including discounts and special promos â€“ just by doing your regular shopping. Whenever you make a purchase, a portion of the cost is deposited into a rebate account. You can withdraw for cash or redeem for rewards. Some of these sites automatically pay you via PayPal each month. 6. Be smart with your savings. With the right strategy, you can save a lot of money when checking out online. When possible, stack discounts with free shipping promos, and use your rebates account to make your purchases. Add in payment by rewards card, and your savings really start to add up. Stacking these strategies can save you a lot of money on your regular purchases. Just make sure that they are regular purchases, though. Don’t spend money just for the reward or the rebate. Instead, spend only what you had planned to originally. That way, you are truly saving money â€“ not spending more of it! 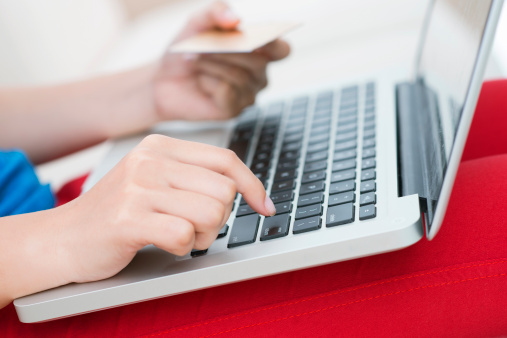 What are some other ways to save money at the checkout online? Leave a comment!